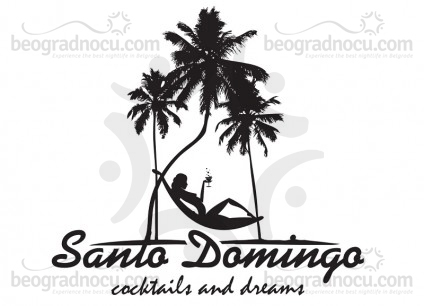 Santo Domingo Bar is located in the heart of Vračar. You will enjoy in delicious international cuisine in a pleasant ambient of this cafe-restaurant located in a very attractive location in Belgrade. The elegant look and warm colours of the interiour will create a great atmosphere for your enjoyment with friends or for sharing an intimate moments with your loving person. Our guests have a positive impressions of lounge bar “Santo Domingo” because of color palette harmony and other elements of our interiour. A gastronomic oasis which waits for you in Santo Domingo Bar will even satisfy the criteria of the greatest gourmands. You will not be able to resist to top specialities made for you by the culinary masters. The pastas, meat dishes and irresistible sweets rich in flavour will tickle your imagination. We specially recommend you our breakfast menu and takeout dishes. You can enjoy our specialities even in the comfour of your own house. The best fun in town while consuming interesting cocktails with the live music will make us your favourite place in town. Check out why many have said that they had tried the best cocktails in town at our place. Extraordinary drinks selection will make your visit complete. For your great mood and one more unforgettable weekend will be responsible top-level musicians and bands, who will light up the atmosphere with their performance and make you forget about tomorrow. You will have the best fun ever with the performances of famous club musicians and the great music program. A good reason for visiting Santo Domingo Bar are definitely the best coffees you can order here. Spend a pleasant afternoon with your business partners or dear persons while having the best coffees on Vračar, in Santo Domingo restaurant. Beside our coffee specialties, we also recommend you squeezed fruit juices so as deserts which will enrich your senses. Santo Domingo Bar also rents its space for various, private or business celebrations.We offer our food and drink catering services in a very affordable prices. We will be happy to be your hosts. Don t miss the chance to enjoy in relaxed atmosphere, to meet numerous famous personalities, so as to try our unmatched cuisine.